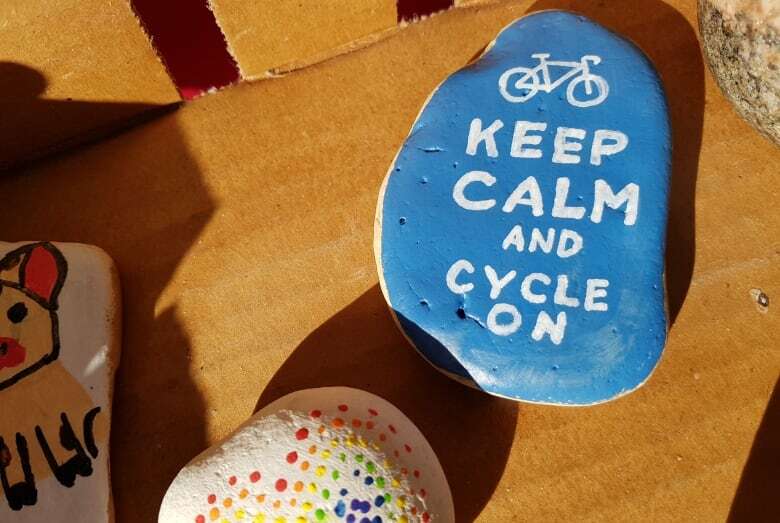 When Lorna Kroeker started the Winnipeg Rocks Facebook group she had no idea how big the idea would get, or to what lengths Winnipeggers would go to hide and find painted rocks. 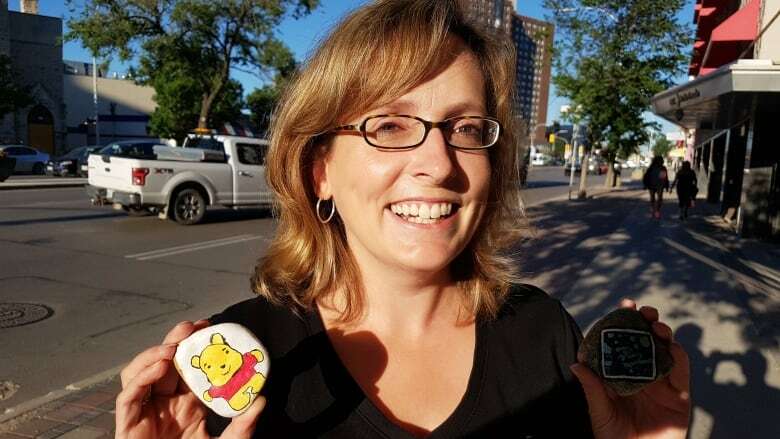 When Lorna Kroeker started the Winnipeg Rocks Facebook group she had no idea how big the idea would get, or what lengths Winnipeggers would go to hide and find painted rocks. Now, a year after launching the group, Kroeker says the group has more than 15,000 members and someone recently posted a photo of a painted rock they left on the Great Wall of China. Yeah, that Great Wall of China. "It has exploded," Kroeker says of the group that had just 85 members this time last summer. "I thought if, you know, a couple hundred people in my neighbourhood participate I'll be pretty happy with that. "I never expected it to get this big." Kroeker started the group early last summer after a friend told her how the game was popping up in other places in North America. The idea combines the fun of hide-and-seek with technology and geocaching — it's been described as being a bit like Pokemon Go, but with rocks. The game is very simple, says Kroeker. 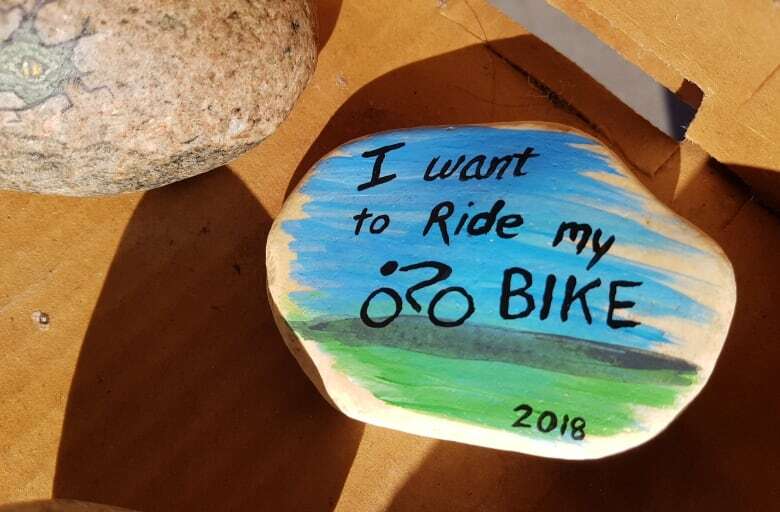 Members paint a rock, making sure to put details directing the finder to the Winnipeg Rocks Facebook group on the back, and hide it in the community. When the rock is found, the finder takes a picture and posts it to the Facebook group. Once the rock is found it's up to the finder to decide whether they want to keep it or hide it again. Users have also started adding hints to where they've hidden their rocks on the page, meaning sometimes the hand-painted hidden treasures don't stay hidden for long. "You have to be pretty quick usually because once they're gone, they're gone," says Kroeker. Kroeker says a lot of the rocks are hidden in parks, but adds they also pop up throughout the city, and now, around the world, as players take the rocks on vacation with them. That's led to members joining the group from cities outside of Winnipeg, and up to 100 new posts a day to the group's page. "It's really just to spread a little bit of beauty and joy and brighten somebody's day," she says. "If you're walking along and all of a sudden find a painted rock, you're just going to smile. "I have to say, I'm a little proud… I had no idea."